Mild-mannered kindergarten teacher by day and self-proclaimed scribbler by night, Sarah's inner fairytale junkie takes center stage in her novels Becoming Beauty and Midnight Sisters. The discovery of a mystery about pants (penned in the second grade) reveals both her lifelong love of storytelling and cute clothes. With countless stories about makeovers cluttering up her hard drive and a walk-in closet bursting with sassy high heels and handbags, Sarah's obsession with dressing up is unmatched. That, paired with her interest in fairytales, led to the birth of Bella, the heroine of Becoming Beauty. When she's not embroiled in either teaching or penning a new tale, cheesy music, movies that cause her to snort while laughing, baking (especially if chocolate is involved), and more British television than anyone this side of the Atlantic has any business watching, keep Sarah entertained. 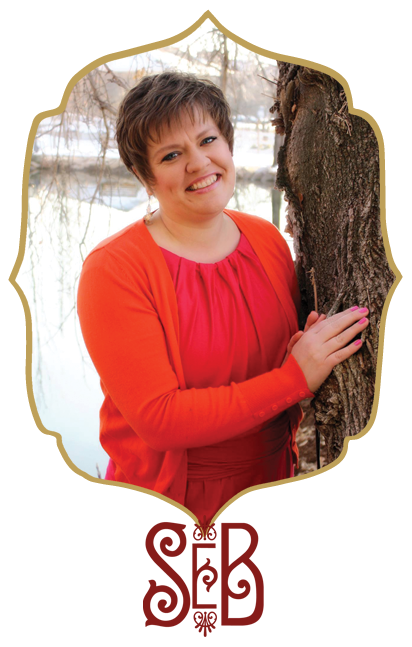 A native Utahn, Sarah graduated from Snow College and Brigham Young University. She currently lives and teaches in northern Utah.